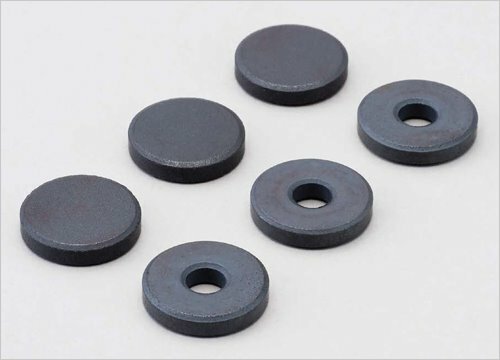 Isotropy Ferrite Magnet | SIMOTEC (THAILAND) CO., LTD.
An Isotropy ferrite magnet has less magnetism than an anisotropy ferrite magnet. But the Isotropy ferrite magnet is effective when evenly distributed magnetism in every direction is necessary because it has even level magnetism power in any direction, which is the opposite of an Anisotropy ferrite magnet that is effective when magnetism is necessary in a specific direction. 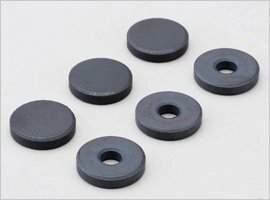 An Isotropy ferrite magnet is inexpensive, so it is suitable for a variety of applications in industry, education, miscellaneous goods, etc.